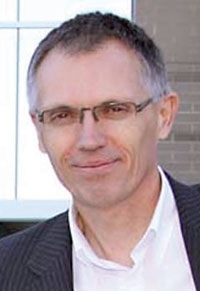 Media reports in France say that Carlos Tavares has had meetings with French government ministers. Carlos Tavares, the head of Nissan Motor Co.'s Americas unit, is emerging as the leading candidate to replace Patrick Pelata, as Renault CEO Carlos Ghosn's No. 2, according to media reports. Tavares is the top candidate to become Renault's chief operating officer as part of a new management structure at the French automaker, the Wall Street Journal reported Tuesday. A report in the French newspaper Le Monde said an announcement on Pelata's successor may be made as early as next week. The Wall Street Journal said Pelata has already met with French government officials. "The government is very attentive towards the new direction that Renault and the Renault-Nissan alliance is going to take," the paper quoted a source familiar with the matter as saying. The French government is Renault's leading shareholder with a 15 percent stake. On its Web site, Les Echos reported that Tavares had met Industry Minister Eric Besson and Economic Affairs and Finance Minister Christine Lagarde earlier in the month. The position of chief operating officer opened up in April when Pelata resigned after taking responsibility for false allegations of industrial espionage against three Renault managers. In January, Renault accused the three of selling secrets about the automaker's electric cars program and fired them, but later acknowledged that the claims were unfounded. Tavares, 52, a Portuguese national, is currently executive vice president and a member of the board of Nissan, Renault's Japanese partner. He serves as chairman of its Management Committee-Americas and oversees Nissan operations in North, Central and South America. Tavares worked at Renault for 23 years in engineering and program management before joining Nissan in April 2004 as a program director. He is one of a number of candidates that have been linked to the COO jobs. Others include Philippe Klein, Renault's executive vice president of product planning, and programs, and CFO Officer Dominique Thormann, who is a former Nissan executive.